Celebrate America with the Essentials of Americana Sale! Choose from a great selection of Americana albums from Mandolin Orange, Dave Alvin, John Doe, Robyn Hitchcock, Chatham County Line and many more. Save up to 40% off select titles. 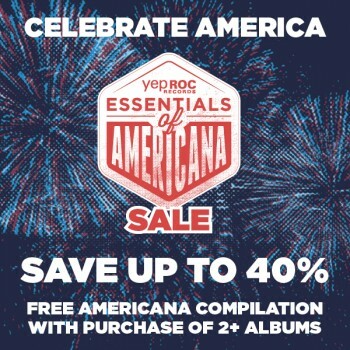 Purchase 2 or more CDs or LPs and receive a FREE copy of The Essentials of Americana compilation, featuring music from various Yep Roc artists like Tift Merritt, Jonah Tolchin, and more. Quantities are limited and the sale ends July 5th, 2015, so get to the store before it’s too late.